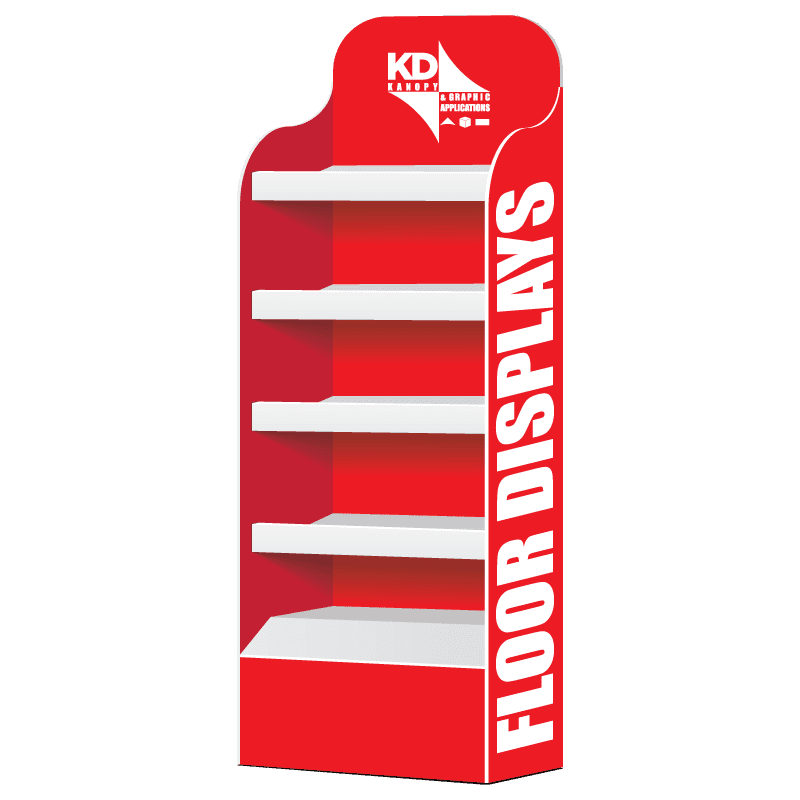 Floor display freely stands on the ground specially built to display and market any item. Maximize your branding potential and increase sales with free standing displays. Formed to house and properly display goods for consumption at any event or retail shop.